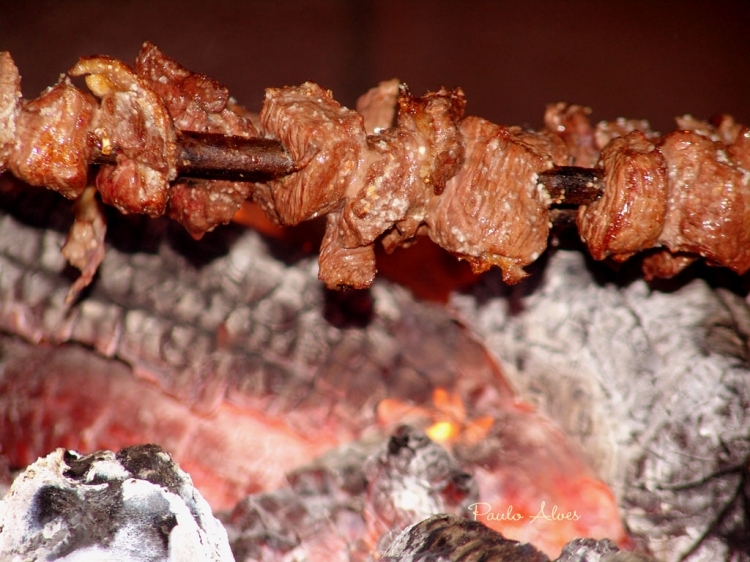 Espetadas are Portuguese style skewers which most typically use beef, although other meats and vegetables may be used. These beef skewers are a very traditional Portuguese dish, especially in the islands of Madeira. They are seasoned with typical Portuguese ingredients and cooked on open flames for the perfect amount of smokiness and flavor. In my opinion, Espetadas are best when served sandwiched in between some delicious Portuguese style bread buns, also known as Papo Secos. 1) In a large bowl combine the salt and pepper to taste, garlic, bay leaves, wine vinegar and olive oil. 2) Mix all the ingredients well then add the cubes of beef and coat them well with the marinade. 3) Let it marinate covered for 4-6 hours. 4) When they are ready to cook, thread the cubes of meat onto the skewers alternating with a bay leaf. 5) Grill the skewers over high-heat until they are well browned on the outside, with a nice smokey flavor. 6) Once they are done, served with the toasted Portuguese bread buns on the side.